These days, the word ‘drone’ gets tossed around quite a bit to describe any type of remote controlled multi-bladed copter. Your default subconscious picture might be the distinctive DJI quadcopters you see on the news or at local events. However, there are a multitude of multicopter devices outside of the standard photography style aircraft. Knowing and understanding these different types may be a little intimidating for a newcomer to the hobby, so we put together a list of the common configurations and offerings. We broke this list into two parts. First, we discuss the common types of multicopter devices available on the market. Next, we will review the different form factors you will find at stores or at the field. We are going to try and keep things easy to understand, however if you have questions on any terminology in some of the links we list, be sure to check out our glossery of common drone lingo. These are the multicopter, or “drones”, that are most commonly seen. Think of types as the job the multicopter is aiming to perform. You wouldn’t use a racing drone to take high quality landscape footage, and on the flipside, you wouldn’t use a stabilized camera drone to compete in a race. Micro-quadcopters (i.e. 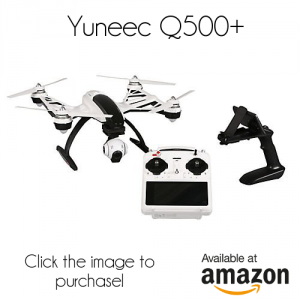 microquads) are the majority of drones you see available on the cheap at your favorite web stores. These are very simple RC aircraft that are fun to fly and help you learn the basics of how to pilot a multicopter. Microquads are a great introduction into the hobby at a very low price point. Instead of investing hundreds of dollars of equipment into a fancy racing setup, you can buy a cheap micro-quadcopter to see if you even enjoy flying! Expect to pay anywhere around $20 to $60 depending on the size and features. 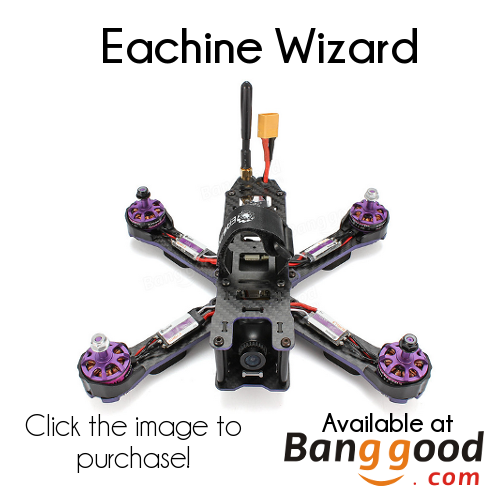 Common brands include Syma, Hubsan, Eachine, Parrot, Estes, Neewer, Cheerson, UDI, and others. For deeper recommendations on micro quadcopters, check out our article on a few of our favorites. Similarly, if you are just getting into RC flight, you may want to read our article on what order you should buy equipment in. This can help guide your buying decisions to help save you money and get a better idea of how much each upgrade will cost. 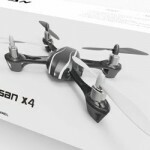 Hubsan X4: A common and durable microquad. 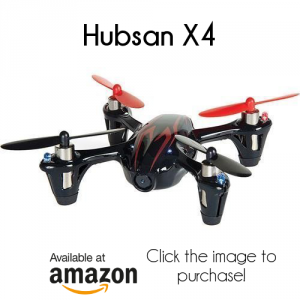 Most of the Hubsan X4’s you will find on the market are the “c” version, meaning it has a camera equiped. 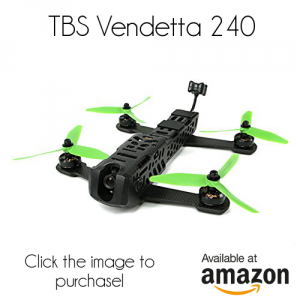 While you can’t fly FPV using this camera, you can record footage of your flying sessions! 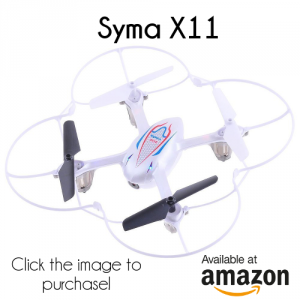 Syma X11C: Very similar to the Hubsan X4. The Syma shares very similar parts with the Hubsan, the main difference between the two being the controller. 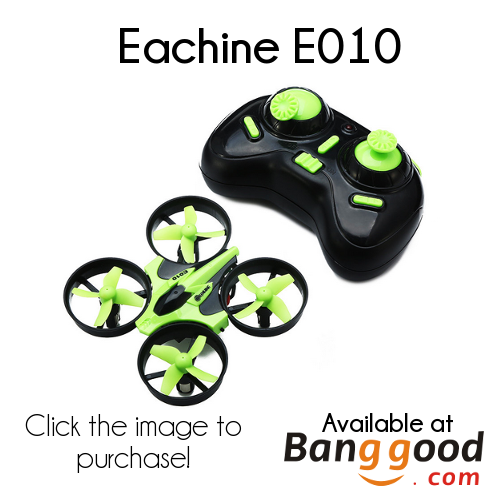 Cheerson CX-10: A tiny microquad that is smaller than the palm of your hand! These can truly be flow anywhere for practice on the go. However, the internal battery requires a lengthy charge between flights. 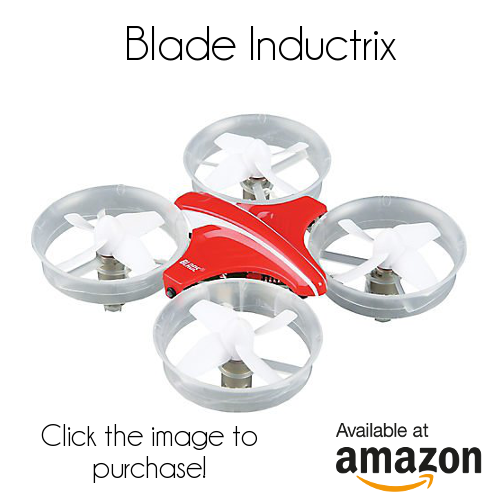 Blade Inductrix: A more expensive microquad with more power. Modded versions of the Inductrix are usually refered to as “Tiny Whoop”, which we will get into in the next section! In 2016, Tiny Whoop took the world by storm. 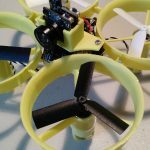 Enterprising hobbyists took microquad (or thereabouts) multicopters and slapped on FPV cameras to make nimble quads that could be flown anywhere! Best of all, most of these would utilize the radio transmitter and FPV goggles that you use with your other full sized racing quadcopters. Manufacturers took note, and now you can find a wide variety of this class of quadcopter on the market. Note, that some of these quads require the use of other gear and may not come with a controller or goggles. Definitely do your research and read the product descriptions carefully! Some standouts that have popped up recently are the Inductrix and the QX90. The Inductrix requires a bit of modding to complete the Tiny Whoop build, but it seems well worth the effort. There are countless videos online of people ripping it up with the modded Inductrix and having a great time. On the other hand, the QX90 is basically a Tiny Whoop out of the box – the camera is already mounted, and it binds natively with a Taranis – how cool is that!? You can read our full review on the QX90 here! Interested in picking one of these up? Check out the links below! If you do go with the Inductrix, you will need to pick up a camera and make a few mods to get the true Tiny Whoop experience! Taking quadcopters and pushing them to their flying limits! These quadcopters are typically smaller in size, around 250mm in diagonal length, and are meant to push the limits of both speed and maneuverability. 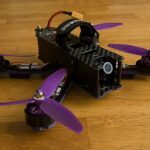 For a great introductory look at the components that make up an FPV Racer, be sure to read this post. FPV Racers are flown FPV (first person view) by having an on-board camera and a system in place to relay the camera footage to the pilot in real-time, allowing the pilot to have a “cockpit” style view. The components come from a wide range of manufacturers and many new ones are released all the time. 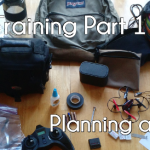 A typical FPV setup will cost anywhere from $200 to $800 or more. Purchasing a FPV racer can get confusing, but we got you covered – check out our article on drone racer buying options. Similarly, before purchasing ANYTHING, be sure to check out our buyers guides. We cover everything you need to know about each individual component that makes up our flying racers so you make the right purchase when shopping! The real division between this class of drones and the microquad drones we discussed earlier is in the technology they utilize. GPS Camera drones are more expensive than micro class drones, but come with much higher end technology. They will often have higher end cameras (capable of recording in 4K), advanced navigation components (such as GPS, vision positing, etc), as well as controllers with higher end features. Many also relay video stream from the craft down to the pilot’s smart phone or tablet to give a direct view of the camera. Camera drones will focus more on the camera and its ability to capture high end footage. In order to do so, they may also employ the assistance of a gimbal of some kind to provide stabilization. General cost is between $500 and $2,000. 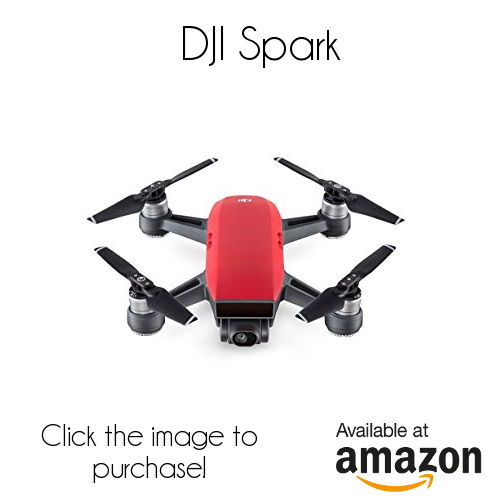 Common brands include DJI, 3DR, Yuneec, Walkera, and others. The following types are less likely to be found on store shelves at your local hobby shop. These are commercial style drones made for design specific uses. We wanted to cover them to help you better identify different aircraft, but don’t expect to purchase or fly these! Cinema drones are similar to Camera drones, but they take things to an entirely new level. 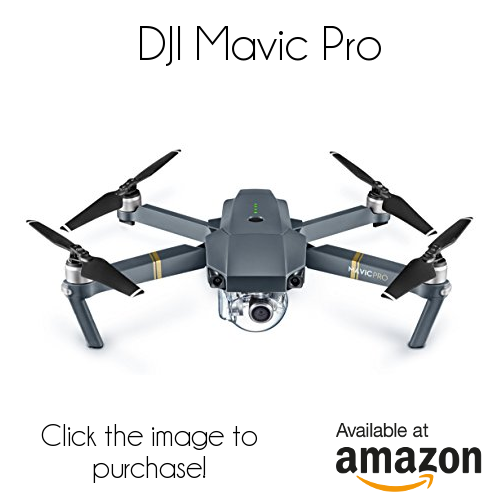 While Camera drones will capture great stabilized footage with either a proprietary camera or a GoPro, Cinema drones offer higher weight carrying capacity to allow a user to carry anything from a DSLR Camera to a high end film camera like a RED Digital Cinema camera. At this point you will often see an increased number of arms and motors as well as size. Cinema drones offer no compromise when it comes to quality and features. Price range can go from $2,000 to higher than $15,000. Companies might include Freefly, DJI, xFold, and more custom made drones. These would be considered commercial style drones found on professional movie sets. Industrial Drones are a very niche category currently. Really what sets apart an Industrial drone apart is more in what type of payload it is carrying. Instead of a camera that records 4K video, it might carry a LIDAR system or thermal camera. These drones fit specific roles in different industries. Maybe you’re a farmer who wants to look at the hydration of your crops, or a ski patrol wanting to use thermal vision for search and rescue, the applications are wide. Not for your typical consumer, but this category is quickly expanding. Can range anywhere from the low thousands of dollars to several tens of thousands of dollars. Not that we have gone over some of the more common types of multicopters on the market, lets discuss the different form factors that you might see. This section will help you identify some of the less common flying machines you might see at the field! The bread and butter and form factor that have made drones become so incredibly popular today. A quadcopter is a formation in which it has four arms, each of which has its own motor. They are much simpler to fly when compared to other flight crafts. Thanks to the onboard flight controller being so smart and capable of doing a portion of the flying for the pilot, it becomes incredibly accessible for people to capture incredible footage without being experts at flying the craft itself. A classic craft many people are familiar with. Check out explainthatstuff.com for a more in-depth look at the technology of a helicopter. In the RC world, helicopters can range greatly from the toy level to the high-end pro-hobbyist level. The high-end helicopters can have incredibly finite control of movement and are powered by fuel. A craft that is propelled and controlled with a single rotor. Very experimental and not practical for a hobbyist or consumer. Most monocopters are test type designs or hobby projects and aren’t very common among drones. Bicopters are similar to Monocopters in that they are much more uncommon and experimental in nature. The most famous bicopter is probably the Bell Boeing V-22 Osprey. The Osprey is controlled via two rotors that rotate to allow for both vertical take-off and forward movement. While it did try to combine the convenience of vertical take-off without jet motors, like the Harrier Jump Jet, and long distance flight, it is very technically complicated. A craft that’s powered by three motors. Still very much an uncommon type of craft. When compared to a quadcopter (which uses four motors), you do lose lifting power, but gain simpler construction and a change in maneuverability. Many people also prefer this configuration as it is much less common while still being viable. Y6 is a common term to describe the formation of a tricopter that uses six motors. The motors are paired together on the arms, where one is above the frame and one is below. This allows for more power (more thrust) without having to add more arms or increasing the size of the craft. Still a very uncommon craft. A quadcopter that still has four motors to create thrust, but in a VTail formation, two of the four motors are placed closer together and also placed at an angle. This form pops up every once in a while in race circuits, and a growing number of manufacturers are experimenting with Vtails. Similar to a quadcopter, but instead of only four motors, it has eight motors. Still in the same shape and form as a quadcopter, but has a motor both above and below the arms. This formation allows for a dramatic increase in carrying capacity. A craft which has six arms and six motors. The additional arms provide greater lift as well as redundancy. Typically when a motor or propeller goes out on a quadcopter, the craft is destined to fall to the ground. However a hexacopter can still manage to stay in the air without an immediate plummet. Hexacopters are great when you care more about your payload (such as an expensive camera) and want to have some redundancy in the case of a failure. Six motors was pretty good, why not eight! The additional two arms are even more redundancy and stability. The main downside to this is the increased cost. An octocopter setup is most ideal of Cinema style drones. Want to keep learning more? Check our our Drone Racing Guide page for more topics!